Devanét® Fringe belts and accessories are custom made to order at our factory in Congleton, manufactured from real leather not faux leather, we can create an individual design just for you. The styles and shapes that we can design are created for you once we know the style you are looking for. 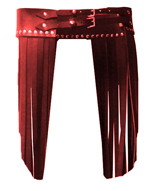 The colour of each fringe belt can be Pantone® matched for you from our top quality full hide leather. Fringe widths can be cut to specific widths from 10 mm to 15 mm and lengths can be produced very short 200 mm to 900 mm long. 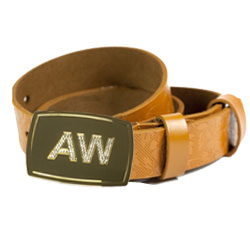 The shape and style of the fringe belt is designed to accommodate waist or hip fitting and made to specific sizes for the range or style you create. 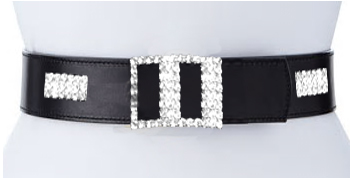 Each Devanét® fringe belt is made with a range of options which can include a custom Swarovski design, patterns with rivets or stitch designs and embossing in the leather to mention just a few ideas. 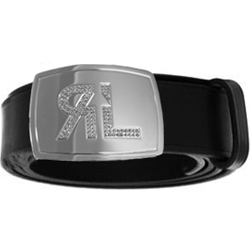 The buckles we can design with a custom made buckle in gold or silver finish, with Swarovski elements if required and can include a design built into the buckle face.